UPDATE 10.30AM: A B-DOUBLE truck and a vehicle crashed on the Bruce Hwy, near the Yandina-Coolum Rd exit this morning. A Queensland Fire and Emergency Service spokesman said they attended the scene, which had been cleared as of about 10am. The spokesman said the incident in the southbound lanes appeared minor. The Queensland Ambulance Service did not report any further information. INITIAL REPORT: EMERGENCY services are responding to reports of a multi-vehicle crash southbound on the Bruce Hwy. 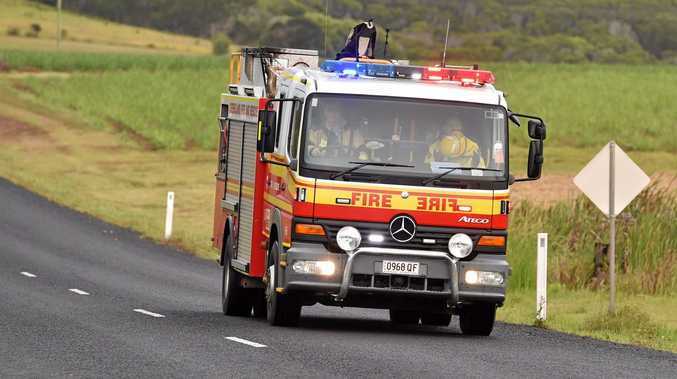 A Queensland Fire and Emergency Service spokesman said the incident happened about 9am near the Yandina-Coolum Rd exit.